Trust me, this picture doesn’t do this pulley justice. First thing, let’s loosen up the belt. 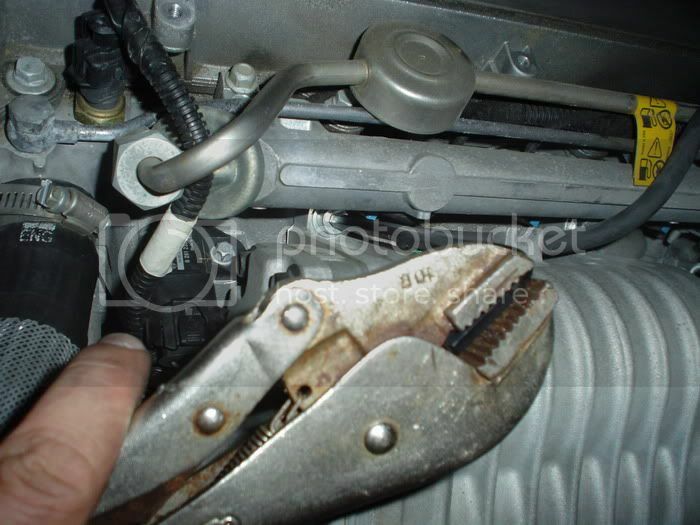 Use a 15MM open wrench, now push down and towards the firewall. That wasn’t too bad, was it?! All the red arrows mean: connections to remove. 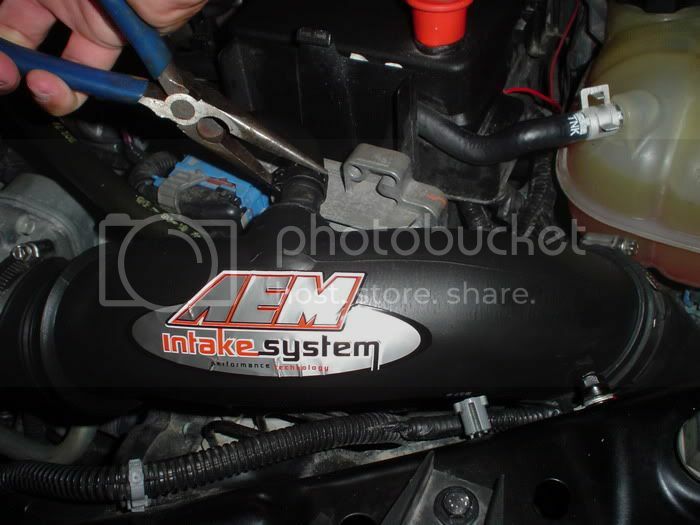 Remove this bracket on the OEM intake pipe. 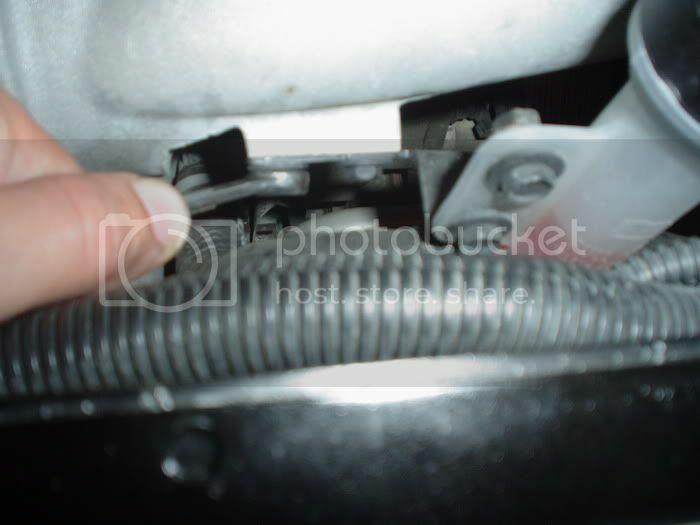 Also remove this bracket on the OEM intake. Take this hose out of the way. WARNING: Make sure not to let anything fall in that intake hole. This hose is kind of special. Click that little clip then pull. 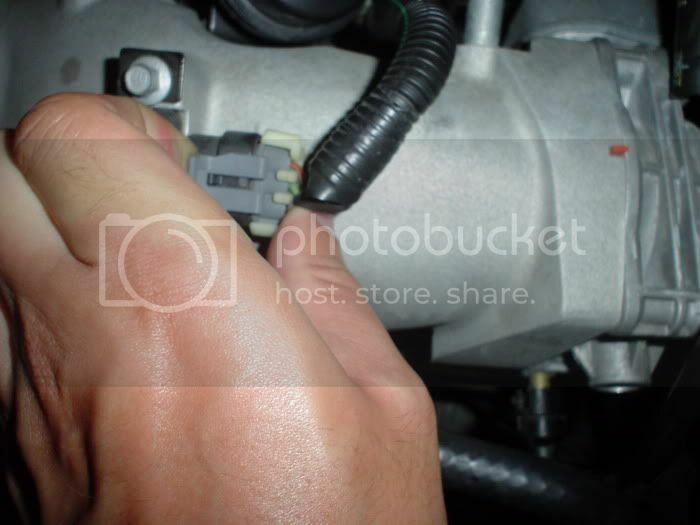 Remove this sensor on top of the Supercharger. 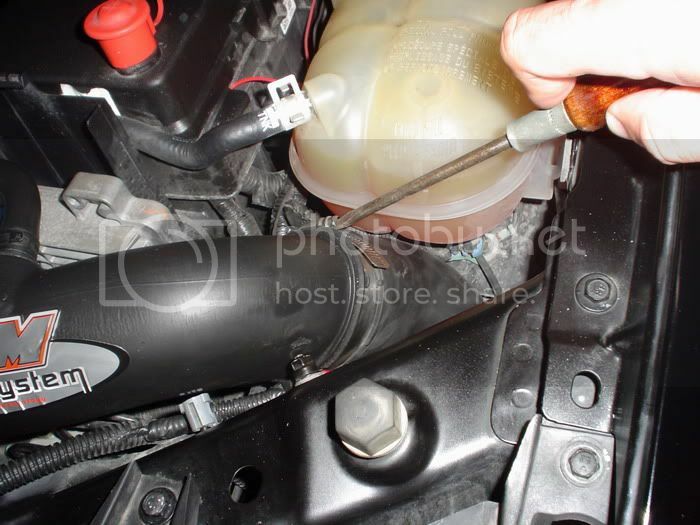 Remove the two screws holding the plastic engine cover. 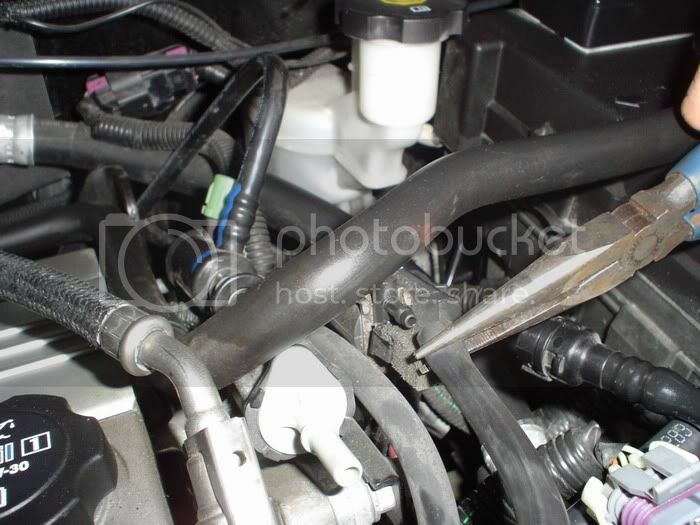 Remove these two bolts holding the intercooler bottle to the supercharger. Use a small open wrench for these two. 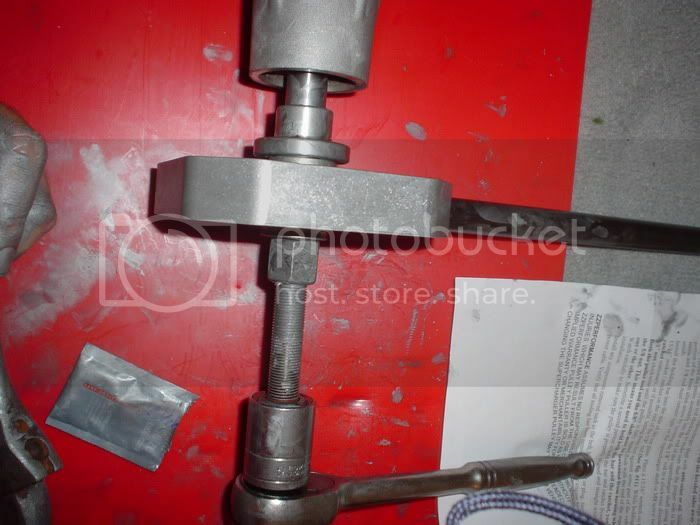 Second bolt, in the top right corner, I used an extension and Allan key in a socket. 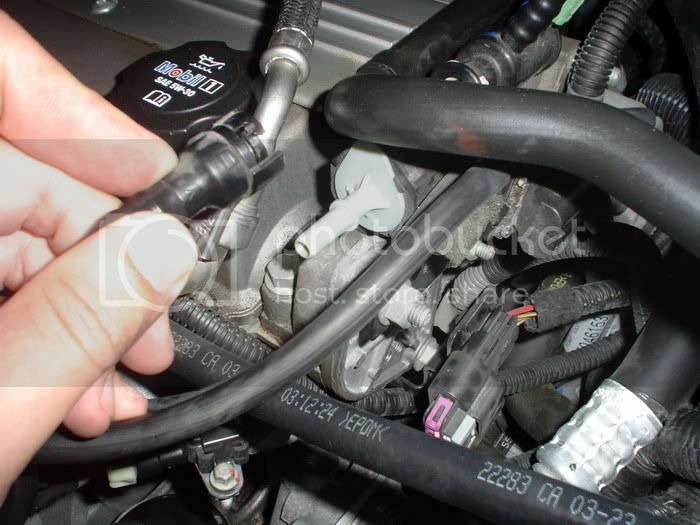 And don’t forget to remove this sensor (This sensor was a bit of a Pain in the a**). WARNING: Make sure not to let anything fall in that intake. Nice and ready for Pulley removal. It’s time to roll up the sleeves. I used the ZZP Pulley Puller. First thing, the back plate goes behind the pulley. Put the four bolts in the front plate, with the nut in the middle. 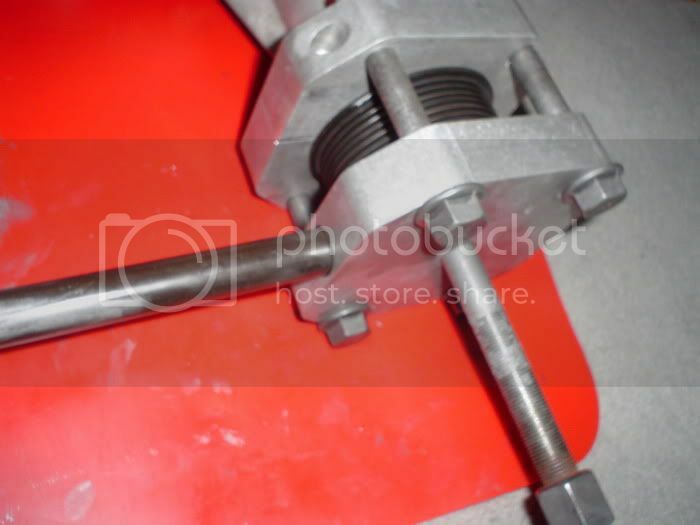 On the BIG bolt, you screw in the little 8mm guide (the one with no grooves on one side) and the washer. 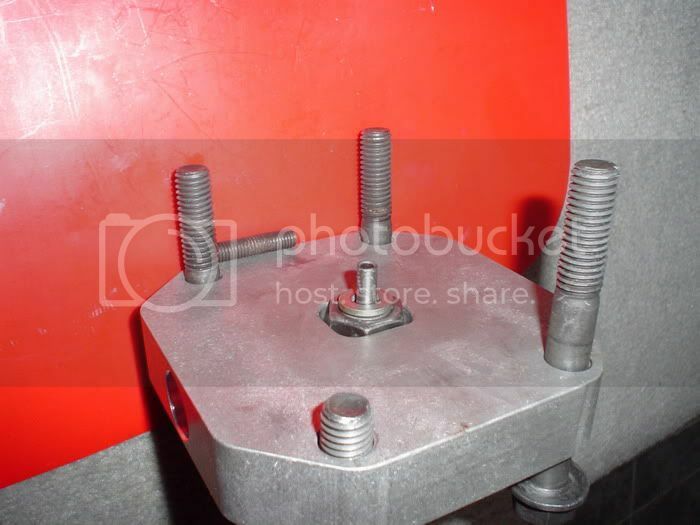 Make sure all four bolts are equal in length. 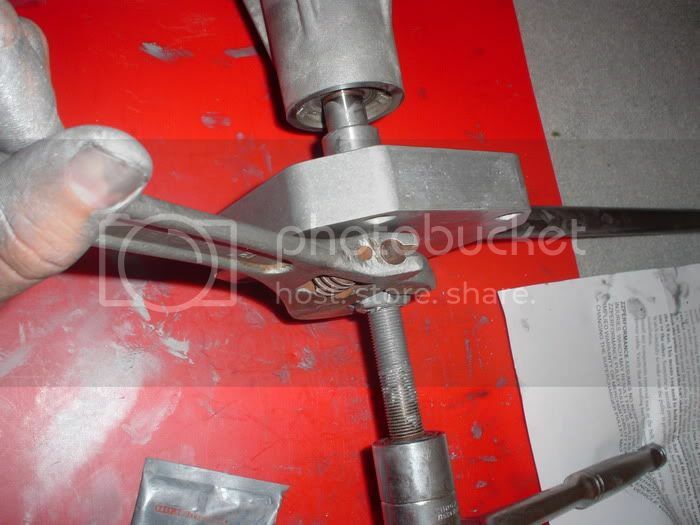 The BIG bolt should be all lubed up with the supplied grease. Install the pole on the side of the front plate. Now hold the pole while you screw the BIG bolt clockwise. It is quite difficult to turn at the beginning; however, it gets easier every time the stock pulley moves. 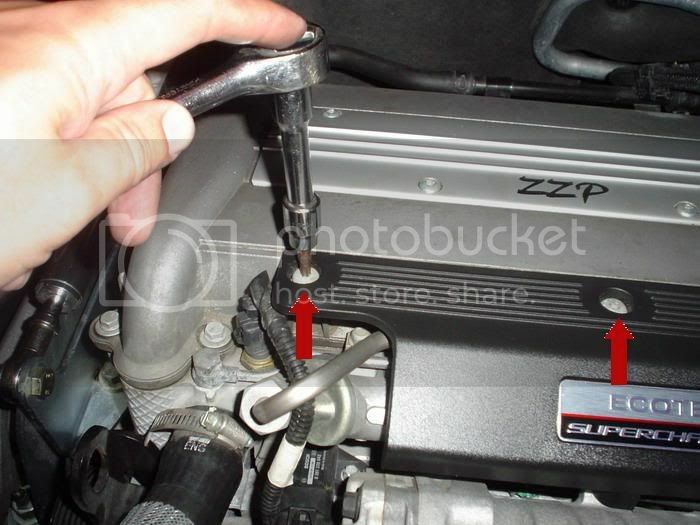 For the install of the ZZP ring, make sure of its orientation first. 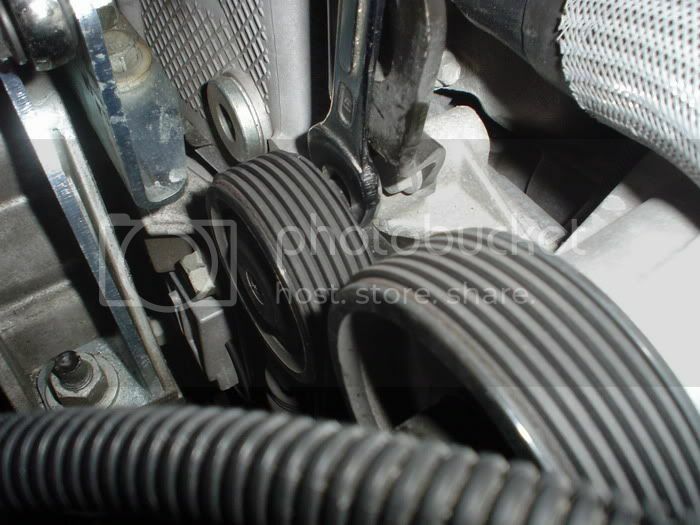 Lube the supercharger shaft and the inside of the ZZP ring. Use the front plate only for this task. 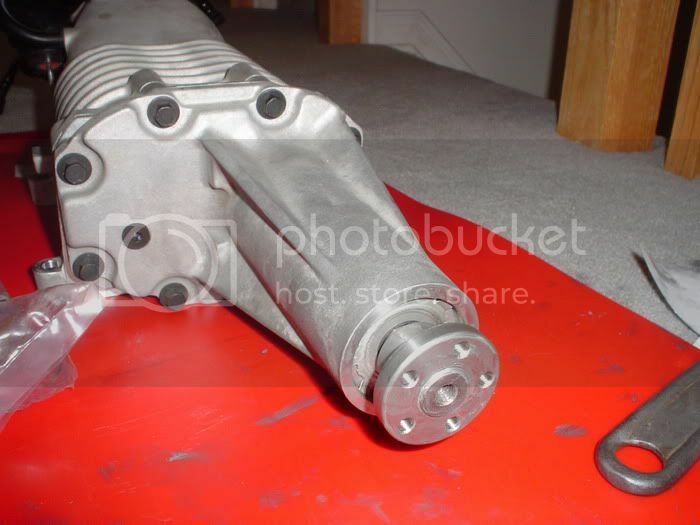 In order: big bolt (greased up), lock nut, big washer, front plate, big washer and 8mm stud screwed in the BIG bolt and the supercharger shaft. 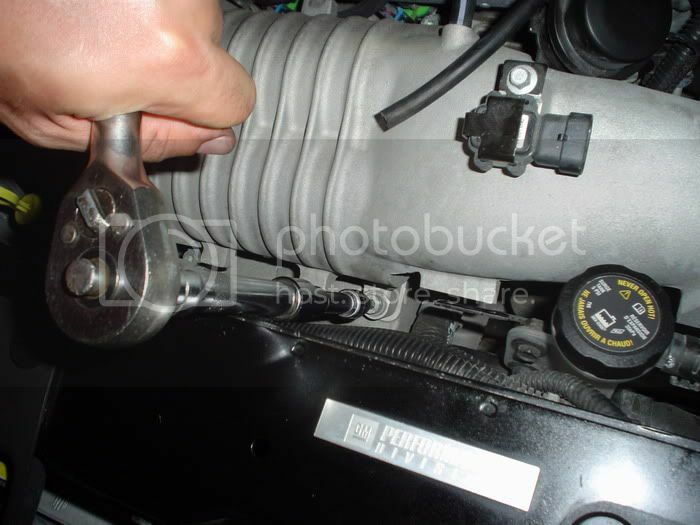 As you hold down the wrench and the pole that’s in the front plate, you must screw the lock nut counter clockwise. If you’ve been following these directives carefully, the pulley ring should now be installed. 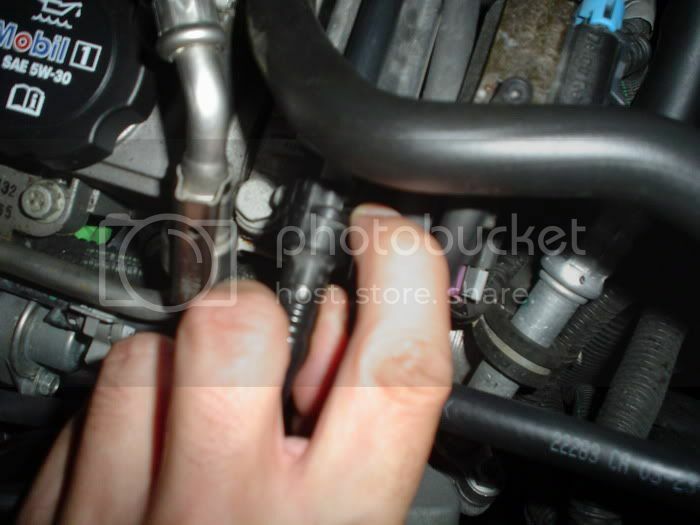 Ensure that the bolts are tightened. 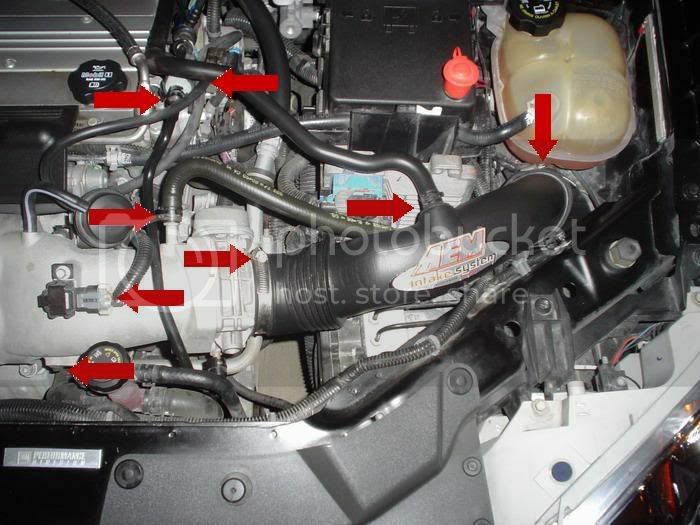 FINAL STEP: to re-install the supercharger back into the car, follow these directives backwards. 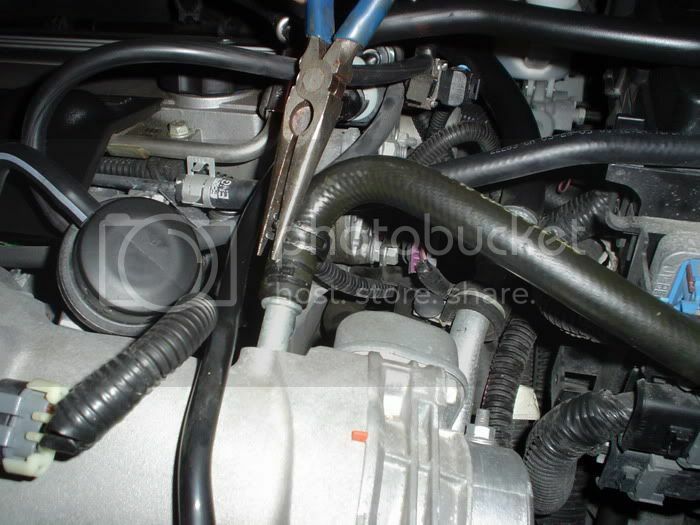 Please ensure to remove all the tools from the engine bay. Start the car, and make sure there’s no air leaks. And that’s it! Happy Boosting! I actually removed my throttlebody when I did my swap. I may have done more work than needed. The first time I started my car I heard a lot of vibration. The bolts that heald on the pulley ring had become lose even though I tightened them before reinstalling the supercharger. With the intense pulley it's important that the bolts are VERY tight. I also recommend using threadlock on them. I experienced no vibration at startup. I checked my bolts and there very tight. The pulley am using is from ZZP and it looks solid as hell! Ugh, I just completed doing this to a 2nd LSJ motor (Redline) which is somewhat identical. 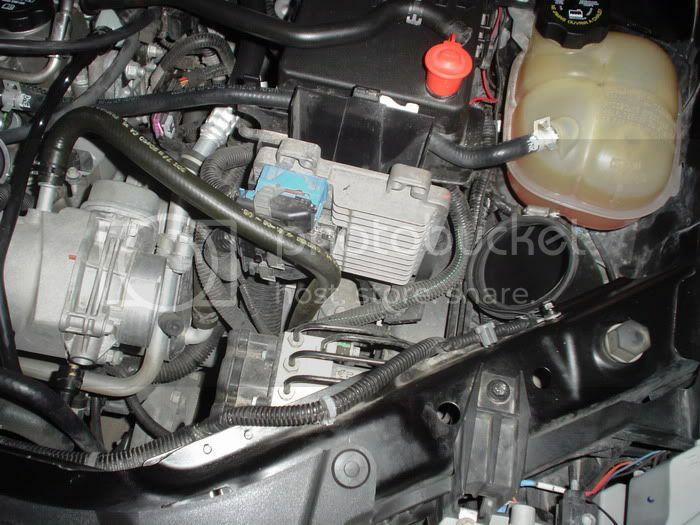 Just some things I might add to your otherwise well written info, careful with the Supercharger intake gasket. They're real sturdy little things, but they bend real easily. 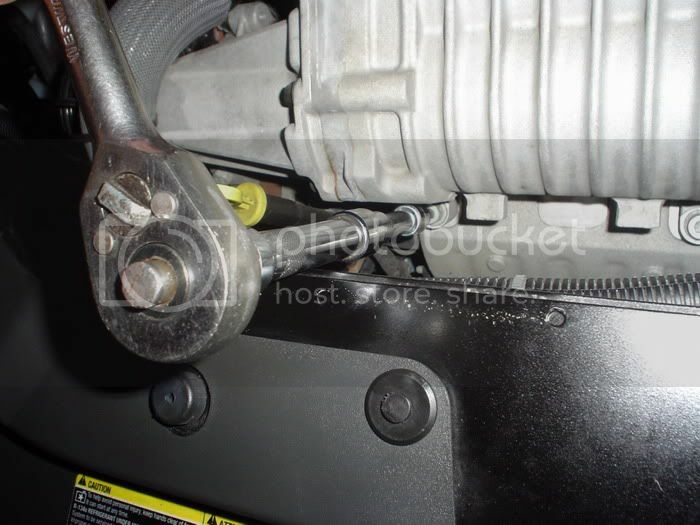 Also I copied the above photo just to warn everyone about that little innocent looking black plastic screw sitting on the side of your Pulley. It actually screws off and on. I made the mistake (the 2nd time I did the job infact! ) of trying to pry off the thing with pliers. 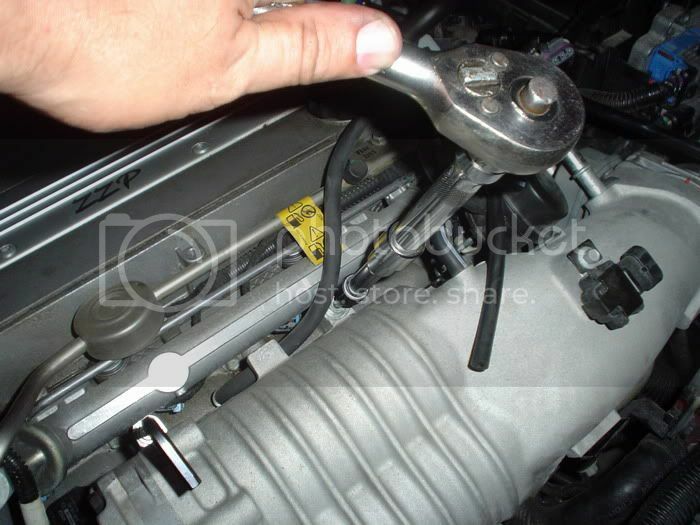 Another pitfall I experienced is with the small thread-stock that's used inside the pulley puller's main bolt that bolts into the supercharger's snout. Go ahead and save yourself some future aggrivation and make sure you have some back-up thread-stock because when I attempted this install the first time, our thread snapped before we could press the pulley in as deep as it needed to be. 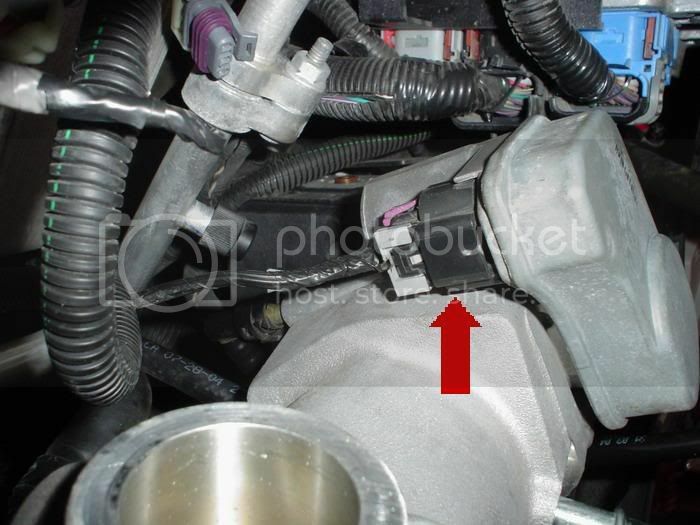 Finally as stated in the write-up, tighten the supercharger pulley hub as tight as you possibly can. The pulley spins so fast that the screws can literally eat away at the pulley if not tightened down enough. Last edited by denny; 07-23-2006 at 11:10 PM. 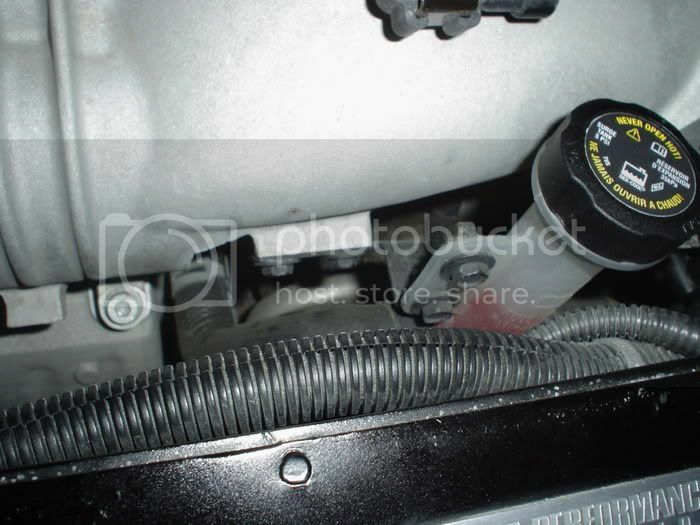 This is sort of unrelated, but does anybody know the part number for the bracket holding up the resevoir in this picture? Nice write up, btw. I learned something new today. Great write up! I plan on doing this tomorrow. 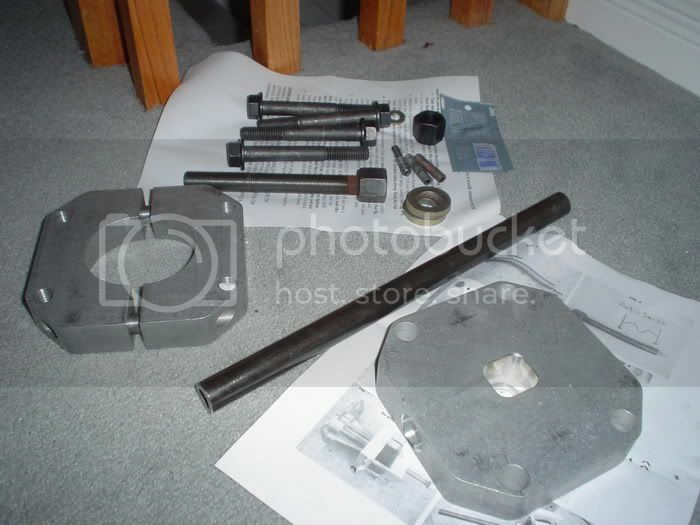 Anyone have any ideas on where to get a Pulley puller like that? I've done a few already as well, and I also have the zzp puller. I haven't checked yet but does the puller also take off the hub. Or would I have to get another puller for that. I'd like to have it around just incase. 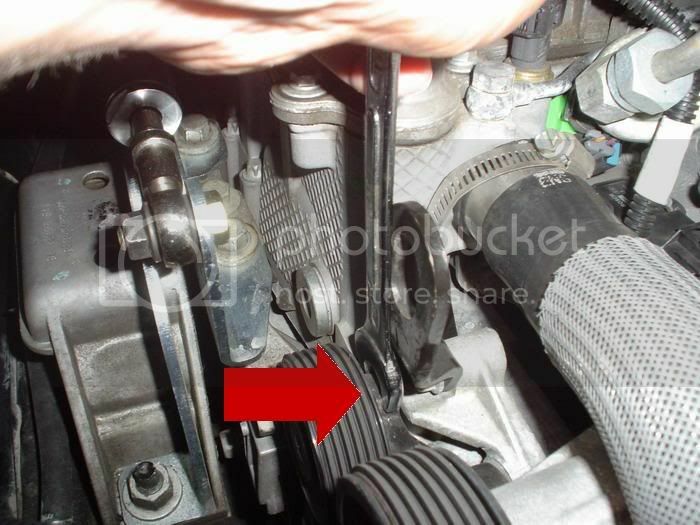 Question here, i assume this write up is for a basicall stock SS/SC considering the fact that you are actually installing a 3.0 pulley. 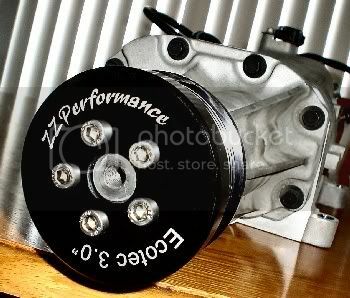 Is it true that installing a 2.8 pulley on a Stage 2 equipped cobalt is simply loosening four bolts? Or do i have to do all the things listed here? 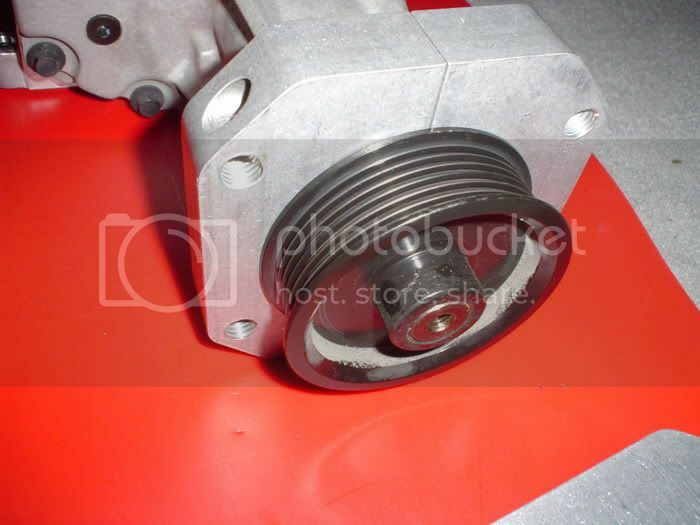 For the 2.8" pulley you don't need to follow the steps above. 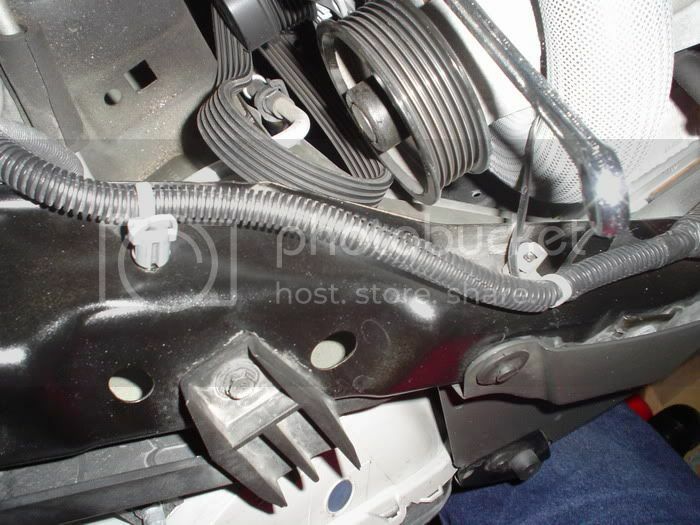 Like you said, just take out the four bolts, swap the pulleys, and put the bolts back in. Excellent. Thank you for such a quick reply. This is why this site has such great reputation. 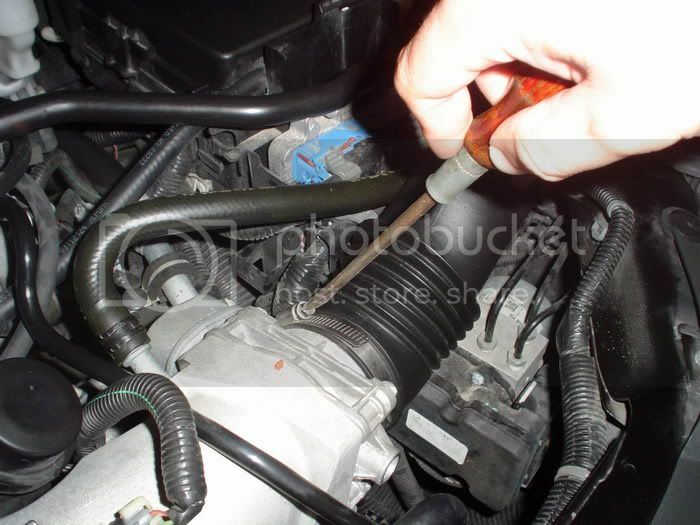 when changing this pulley I heard that you do not need to changed naything eles such as sparkplugs injectors and such, is that true, or do I need to change all that when exchanging the pulley? thank you. 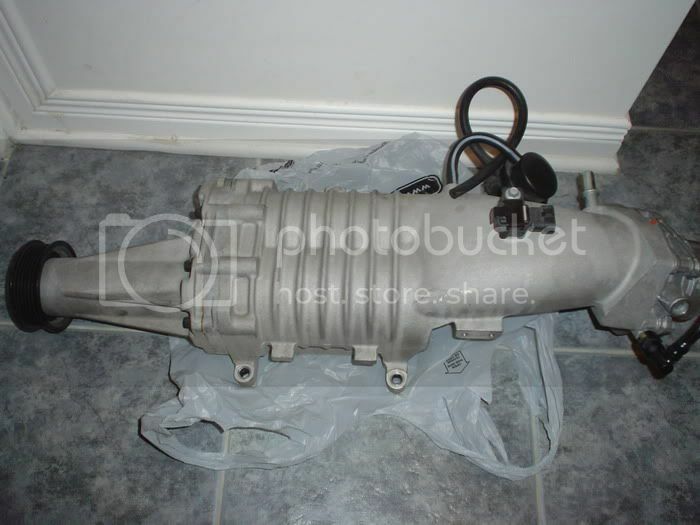 3" pulley nothing else is needed. I would put in the 42# injectors. Your injector duty cycle on the 36# stockers would be real high. all this on stock tune though? don't you see some detonation in my future? I just got stage 1 installed yesterday. 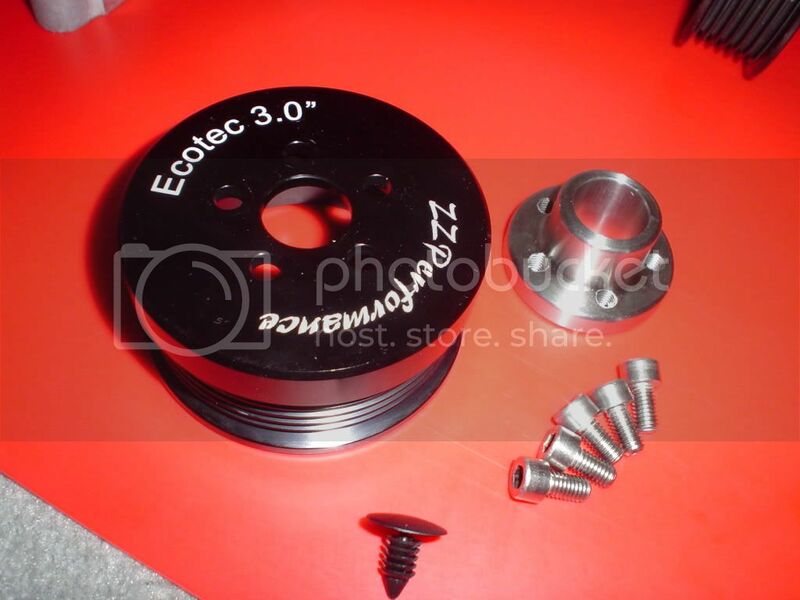 Was thinking of getting a zzp 2.9 pully. 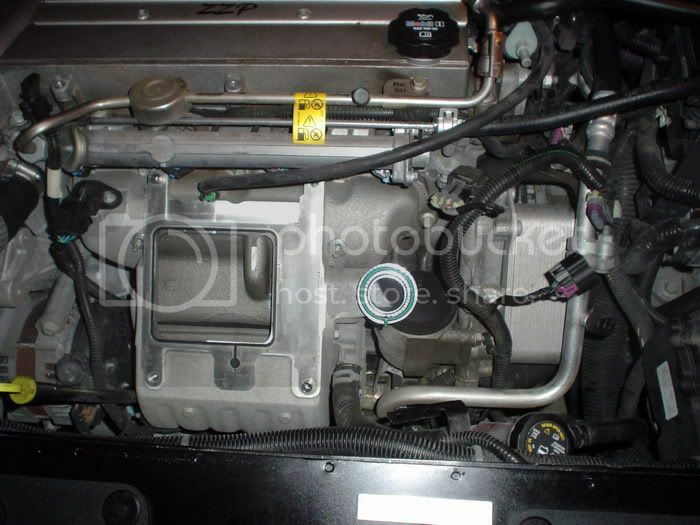 Would I just need to unbolt the old and and bolt the 2.9 in, or would I have to follow the steps and take off the s/c and all that? the stage 2 consists of the MPS, that is why you dont need to follow all these steps. Subscribed going to be doing this soon! couple notes from what i went through.. Cosmetic thing on the pulley....It's not needed.